To let us know you're interested, send us an email here! We'll get in touch soon and work out the details with you. 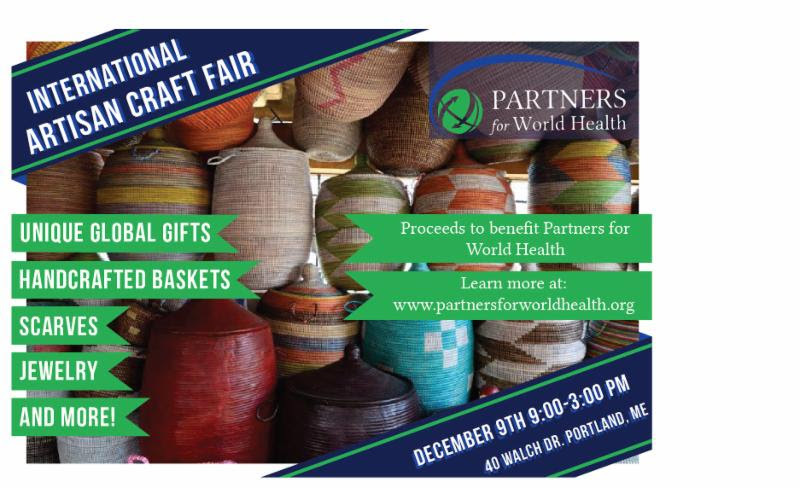 Saturday, December 9, PWH International Artisan Fair at the PWH Headquarters Do you love setting up a store? Here's your chance. Volunteers needed to set up the inventory in the days before the sale, act as a cashier for the event itself, and keep things neat. Sale is 9 a.m. - 3 p.m.
December 30, USM Relays at USM in Gorham Volunteers needed to collect entrance fees at the door and run concessions. PWH receives the profits from both activities. 2 hour shifts between 8 a.m. and 5 p.m. This is a high school track meet attended by many schools in Southern Maine.